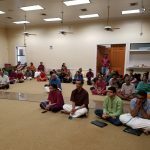 Dr Leena Tanejaji who runs classes on Asian Religions at the Stetson University in Florida invited Ramanujamji for a special series of lectures for her students. 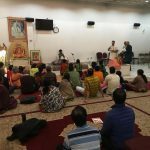 On Feb 19th, In keeping with the GOD’s goal of serving the humanity through the medium of education, Sri Ramanujamji accepted the invitation and gave two classes – on eon Karma Yoga of Bhagavat Gita and another on “Understanding Rituals- Pooja” to the students. 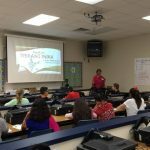 The students found immense benefit from the lectures and realized the depth of Hinduism. 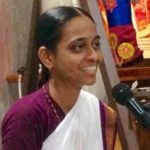 It is important to note that these students are from various different cultures and races, who have an interest in Sanathana dharma and like to pursue further studies on it in their careers. 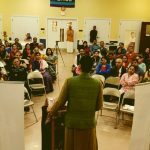 The lecture series was coordinated by Mrs. Shobana Daniels of Orlando.